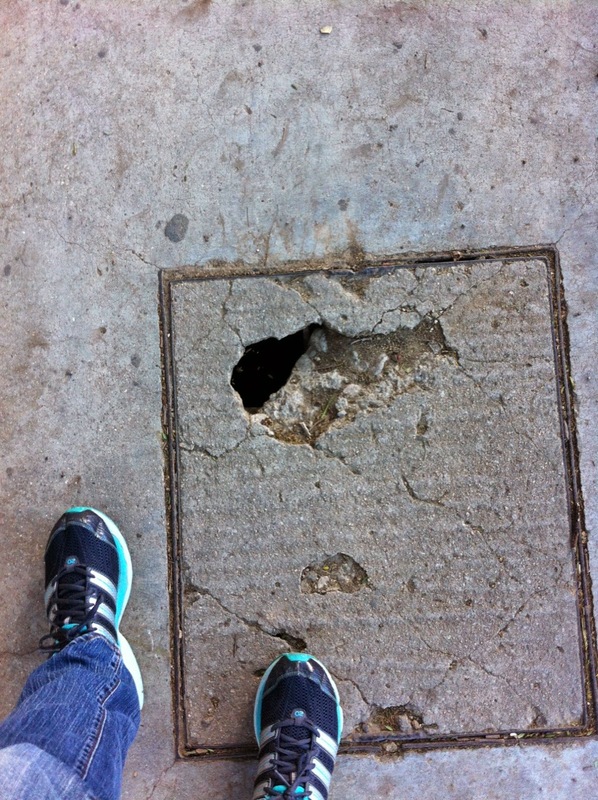 I realize you all might think I am a little bit crazy, and maybe I am, but I actually am writing a blog post on the sidewalks of Oaxaca. I have shown you pictures of the street fair, I am hoping to get some good pictures of the street art to show you in the next day or so, but I really do want to show you the sidewalks. Well, it is just scratching the surface of why walking and texting, or pretty much walking and ANYTHING, is a challenge in this city. Here are some more examples. I know that part of the disrepair of the sidewalks is due to the earthquakes, but there was some seriously poor planning when they planted the trees here. 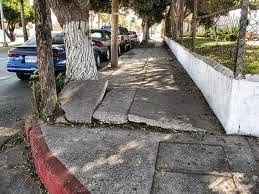 As the trees grow, their roots just move the sidewalk aside. 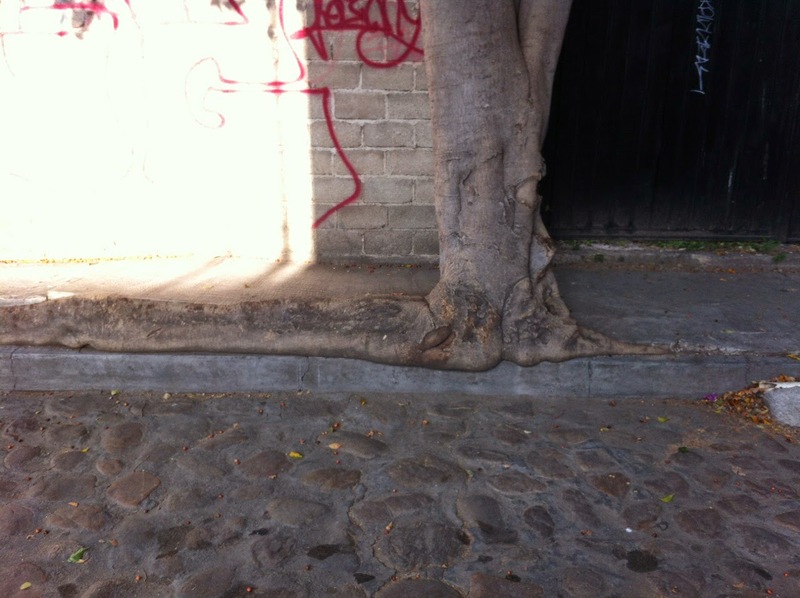 In the picture above, the tree is actually pushing the slabs of concrete up. Below is another example of the same thing. 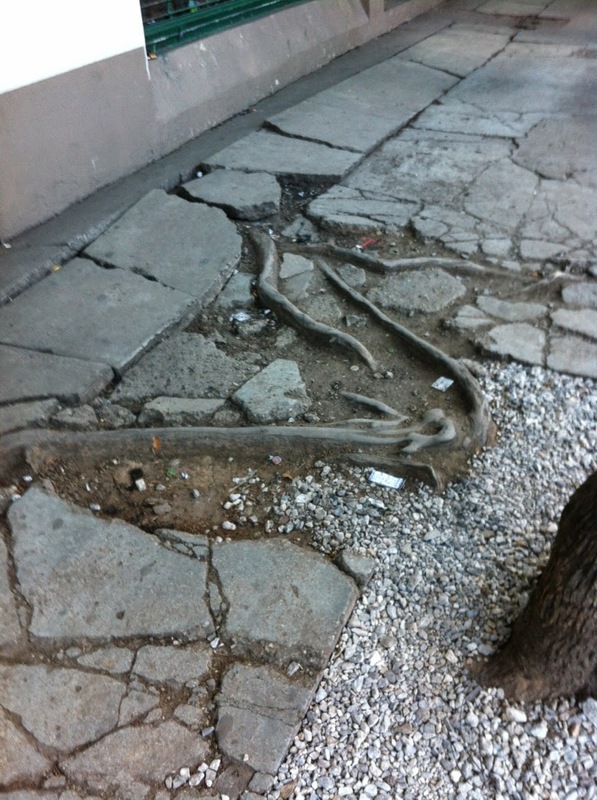 You can actually see how the tree root has grown above the curb and pushed the sidewalk up at least 6 inches! When you walk along this stretch of sidewalk (about 1 block from the office I have been working in all week), you find yourself walking sideways! And then there is this example. This tree is actually pretty small, but it has a shallow root system and it has just cracked and pushed the concrete out of the way. So as you can see, if you are looking anywhere but down while walking, you are definitely taking a risk of falling flat on your face! You can also see why I did not where the shoes with heels while I was here. That would have been taking my life into my hands with every step! 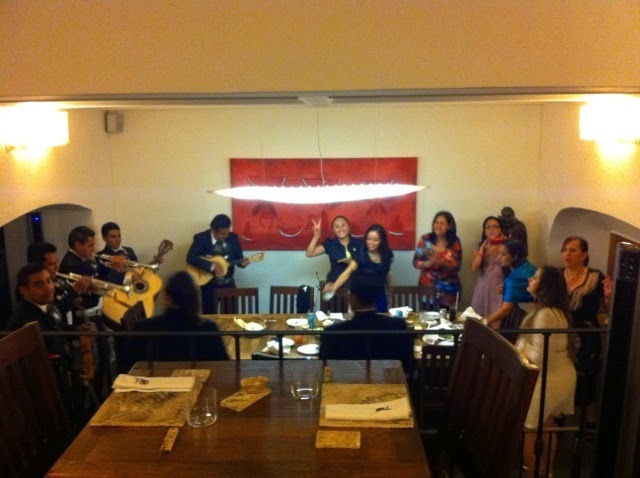 On a happier note… I was fortunate enough to run across a birthday party at the restaurant where I had dinner last night. 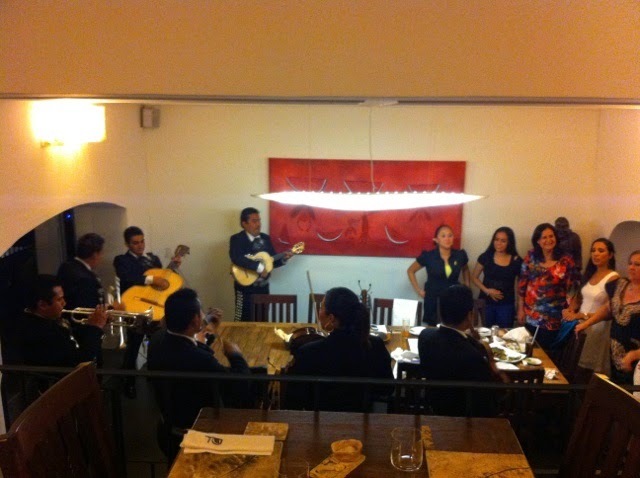 They had a mariachi band, and I enjoyed it greatly! 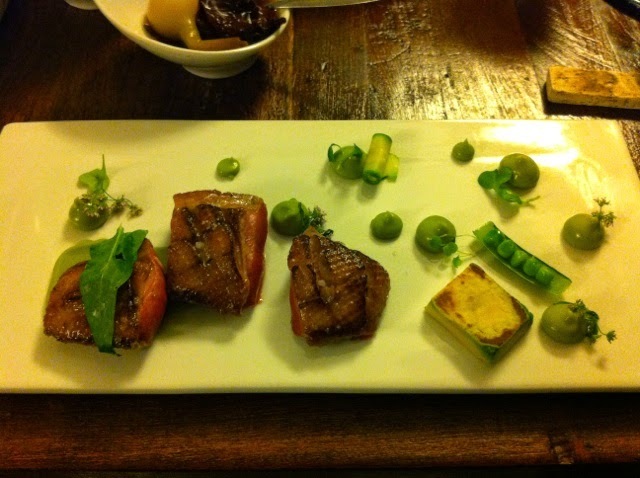 Seared duck with avocado, and a sauce of honey, lemon and chili pepper. Such a fantastic combo of flavors!